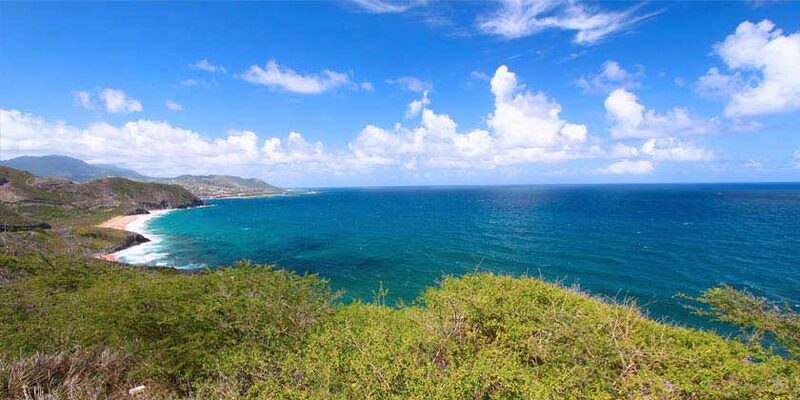 Located where the Caribbean and Atlantic meet, St. Kitts’ rich natural landscape is matched by its rich cultural history. See it all from the Scenic Railway, that travels the tracks of the old sugar train railway. There are also stunning views from the massive Brimstone Hill Fortress, which is also a must-see for its historical, cultural and architectural significance. The views underwater are one-of-a-kind, too, with colorful reefs, ship wrecks and caves for scuba divers to explore. This is an enjoyable way to spend the day whilst visiting Nevis, "Queen City". Resort info: The Timothy Beach Resort puts you right on the most popular beach on St. Kitts and Nevis, where you can swim in the calm and clear waters of the Caribbean Sea. Resort info: Offering ‘state of the art’ amenities, chic public areas, mouthwatering cuisine curated by International Chefs and Modern accommodations with a Contemporary flair.